It all made so much sense once we got them to explain it to us with color pictures. Where they got the color was kind of an interesting story, I mean if you like those Little House on the Prairie sorts of things, but basically just understand it was crushed-up bugs and wrung-out flowers and a few dabs of fish blood. The kinds of things you get used to when you’ve held a democratic congress to tell your father to please go back overseas and get you some damn food and he does so and then doesn’t even come back so I guess we should have thought about putting a time frame on that petition, huh, shouldn’t we have! Yes, the kinds of things. We were all there in the long-to and Eko had his hands just smeared with the color and Ipsha was the floor making deeper and darker lines and it all just seemed truer than the good news. It was a beautiful thing and I wanted it so badly, I wanted it for me and even moreso at the time I wanted it for Virginia. Only I could tell the other settlers were quaking in their cowskins and to be honest I was getting a little tired of the milk and toast unity they’d all gone and adopted since the petition, like, godforbid we make another decision because we know what happened the last time. I stood up and handed the baby over to Anandy, who basically almost dropped her right away because he’d probably never held her since birth. I used his shoulders to balance me as I climbed up the chair and addressed the room. “This is the most beautiful plan I have ever seen!” is what I remember saying. “Get downe!” yelled Clement Tayler. “Get the helle downe!” yelled Clement Tayler. Eko and Ipsha laughed and I yelled something at them in their own language which I actually didn’t remember learning, but I know now that’s only because they were already working on us with the smoke at night. Eko looked surprised to hear me say it but Ipsha just nodded, the plan was working already, or so they thought, many plans seem to be working until you find yourself at war with the Spanish. That’s what Daddy said in his waning years while I was curled up in his rafters making that screaming late at night. It took a few weeks, but as the barrels emptied so too did the complaints. Eko and Ipsha were always on hand to reassure us, deftly weaving their process answers with legendary descriptions of the afterworld. We knew it wasn’t Heaven because we weren’t going to die, but I admit that in order to sway a few of the older men I would whirl around in meetings and tell a few tall tales. “I’ve always thought I had quite an ear,” said Mr. Browne. Never underestimate a man’s want to play a lyre, that is something I did learn. The day of the crossing the whole tribe came out to see us off. Most were already eyeing our stonewall cottages but some kept up a clever face, saying oh how jealous they were of us and wasn’t it lucky how pure we were so that we could just disappear like this, no they would never have such an opportunity. We all got off on it, just as anyone would. I’ve since rewound the tapes and you just have never seen such a mess of subterfuge and ego, all winks and handshakes and jolly goods and good crossings and yo ho ho amen. Of course, we thought we were the ones putting one over on them. Who would want that winter, given the choice between it and not it? Then we all stood in a circle. Then they all stood in a circle around us. Then we all held hands, though I only had one hand free because of the baby. There was the song, a river of hot water, and a whole smokehouse built around our now prone figures, around us where we lay for minute after minute until I dared open my eyes to realize our victory. It was a brilliant first impression. The walls were transparent birch and I could touch whatever I wanted to, or not. The nearby sound seemed quite close and also quite bright, even though it was neither. Actually whole swatches of land seemed that way. My skin was invisible at some angles and I knew exactly what time it was and how long the Earth had been there. I was absolutely gone from the land and yet surrounded. All around me the tribe was celebrating and most of my fellow settlers were still lying down. Virginia was gape-mouthed and looking up, which reminded me to look up, and I did, and there wouldn’t you know it was a whole other tribe. Only they were also ghosts. “Oh for CHRIST’S SAKE” shouted one. He was standing with his arms crossed, his feet flat on the air. “YOU HAVE GOT TO BE KIDDING ME” said another. He was standing with his arms on his hips, feet also on air. The rest of the settlers were scrambling up, bodies bumping in and out of each other with a chill whenever we touched through. Someone started to cry almost immediately. “I can’t believe this worked,” said the first ghost. “I thought for sure they’d botch it,” said the second. So now more of the settlers screamed and people were fussing and someone started to try to beat one of the living natives with his ghostfists and that was pretty hilarious because it appeared that to the living we were just a beast of a breeze blowing sand. “Come on, there are better ways,” said the first ghost. “So think of the possibilities,” said the first ghost. The ghost tribe welcomed us into their homes, which was totally unnecessary, but it seemed like most of them had something bad to say about the living tribe. Most of them had actually been dropkicked into the afterworld as some sort of punishment, a fate less worse than dying but still kind of annoying. It was more or less a prison colony but the living tribe had kind of assumed that even so, the ghost tribe would be totally on their side and really into killing us. Why the living hadn’t killed us just flat out seemed to be for similar reasons as to why we hadn’t killed them flat out; it just made us all kind of squeamish as humans and aside from that, who knew when backup would come? Better to just treat us idly and then once we started begging at their doorsteps kind of get rid of us with as little mess as possible. “It’s a funny coincidence, because I wanted to kill them all the time,” said Mr. Jones. “Oh god me too,” said Mr. Wyles. “When they talked that foreign tongue around me I just wanted to strangle every one of them!” said a gleeful Mr. Browne. “You all had a lot in common,” said the first ghost, whose name he told me was Sheba but I think that was a joke. “Yeah that’s the stuff real civilizations are built on,” said the second ghost, whose name he told me was Kiki. They helped us get our legs under us and showed us how to travel and trick, haunt and borrow. 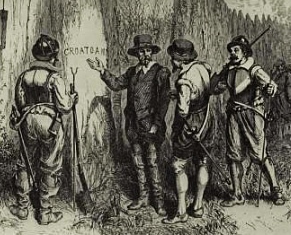 One by one we sloughed off our living expectations and soon my fellow settlers and I were going separate ways, promising to message once we’d found land. I hear from some, still, but from most, never and good riddance. Virginia I learned would always be a baby but could adapt enough to live on her own. It wasn’t as though she needed warmth or food anymore, plus although she never did speak I could see her learning much faster than the rest of us were un-learning. We parted ways one day when I was exploring Montana, a bright day with a herd of moose nearby. Virginia watched them and tested the air with a crinkled finger, found that the climate suited her and patted the ground to indicate she wasn’t budging. Anandy on the other hand, at first I truly couldn’t get rid of him. I took him around the whole world in the hopes that he would find a pallet of his own, then eventually I located Daddy and set about haunting his living days. Anandy split after a month of that because he never could endure the way Daddy painted with his finger up for tea. Last I heard of my husband he was one of those divers who prowls for Atlantis, a conspiracy theorist at best. I know he wishes Sheba and Kiki had just gone and offed him, I think he believes that those lyres would have turned up someday. Me I have a ship near the barrier islands, and I try to keep busy. I’m not lonely, just unnnggggh. Most days I cover myself in squalls and throw sand across Highway 12, funneling foamy waves and punching them through the dunes. But guess what, because no, I don’t want to be here, and lately I have become too familiar with my weaknesses. On bad nights I draw the drawings that convinced me and imagine them not convincing me, or better yet I imagine a knife through my ribs. The rest of the time I lie on the rotted deck, watching Heaven with my faded face. From what I hear (I mean, Kiki claims) there are even newer worlds to be done up with refuge for who wants it. All I need is a real storm made of new-not-ghost winds. I’ll have a crew put together, and lists of supplies. We’ll go without maps when we do, and if those winds are strong enough to erase my tracks then thank god and I will finally be lost.